Striped Rhino Website Development has just launched a new website for Polson Theatres, Inc., the Montana and Idaho based movie theater chain. The company currently has eleven theater locations and will be expanding into more locations in the coming years. 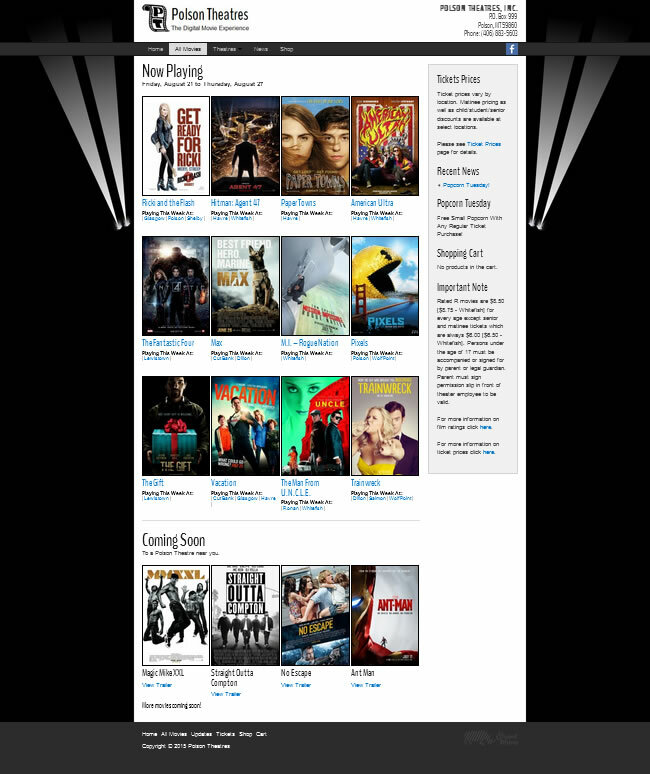 The new website is built on the WordPress CMS (content management system), and uses a highly customized theme that was built from scratch and allows for SUPER easy biweekly updates of movies and showtimes for all eleven movie theaters. In order to accommodate the clients needs, a Custom Post Type of “Movies” was set up. This post type has custom fields for desired movie information such as title, run-time, rating, description, etc., as well as fields for showtimes at each theater location. 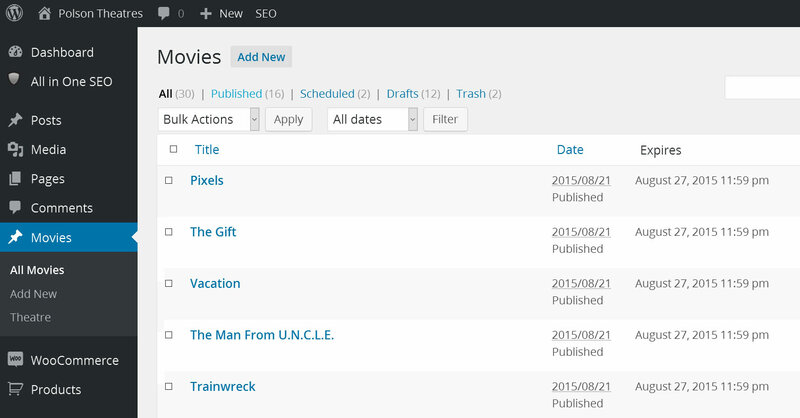 In order to add a new movie, all that the client has to do is fill in the fields with appropriate information. If the movie is scheduled for a particular theater, the custom field for the individual theaters get filled in with showtimes (for example Polson: 4:00 | 7:00 | 9:00 | Daily); that’s all there is to it – the database driven website does the rest of the work. 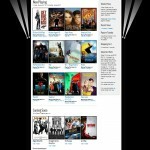 By filling out one field on the custom post, the movie is automatically displayed on the homepage, the individual theater page, as well as pages such as “At A Glance“, which shows all current and future showtimes that the client has set up. Generally, new showtimes start on Friday morning and run through the following Thursday. Historically, this has meant that in order to keep the website accurate, listings needed to be added as close to midnight on Thursday night as possible. The new website, however, is set up to allow for publishing and expiring posts at a previously selected time. This will allow for the website to be updated whenever it is convenient for the client, without the need for late night updating. On Thursday night at 11:59 PM, new posts will populate the website, and old posts will be removed, automatically. We sold the idea of this site to the client based on the fact that it will save them many working hours per week. A rough estimate was that the old website took anywhere from 5-10 hours to update each week. On the new website, the client should be able accomplish the same job in just 1 or 2 hours per week. Using low estimates, this will mean that the client will save about 200-250 hours per year – which directly converts into a savings of THOUSANDS of dollars in labor! Furthermore, because the client no longer has to deal with complicated html/css, it is now also possible for them to hand the task of managing the website off to an employee. This will free up the management to handle other, more important tasks – tasks such as …running their business.